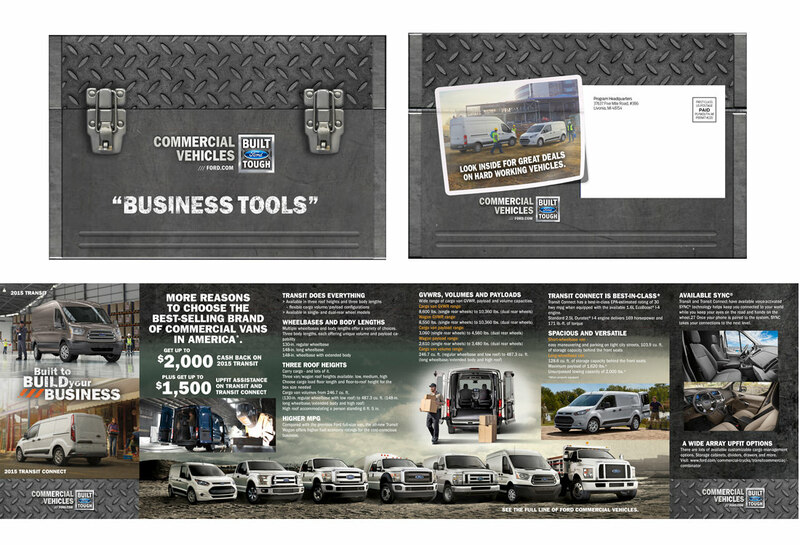 Large scale (32 inch width) direct mail roll-fold brochure enclosed in rugged tool box. 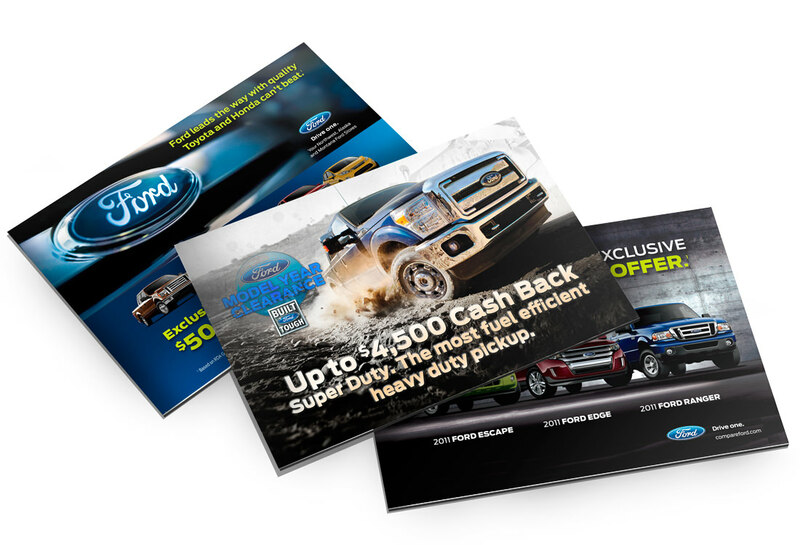 Design, illustration, retouching, photo compositing and pre-press production. 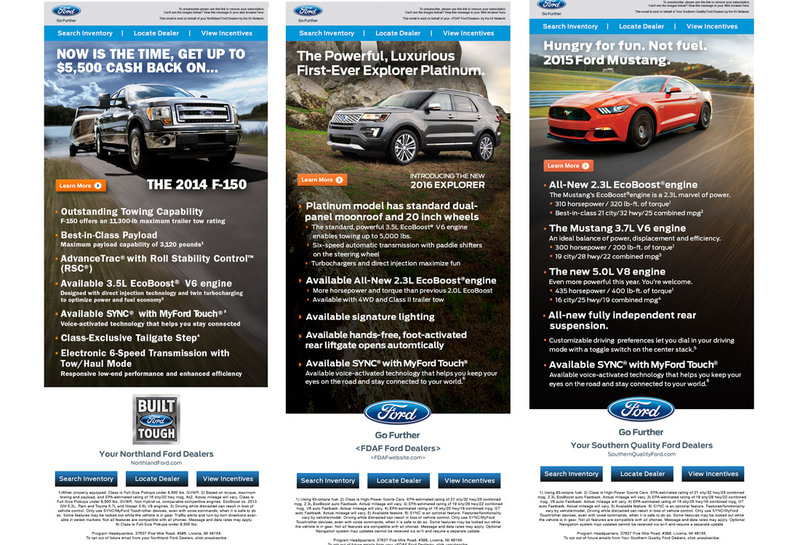 Regional email ads that tie in to National Sales Events and feature requested vehicles.